Mike Bone started managing a Macon, Georgia high school band, “The Celtics”, when he was 15. The first show he booked for the band was for $50. The last show he booked before going to college was for $750. Not big numbers, but the trend was there. After finishing a marketing degree from the University of Georgia, Bone worked for an Atlanta concert promoter, a local booking agency, and a rock club before settling into the promotion department of Atlanta based GRC Records. 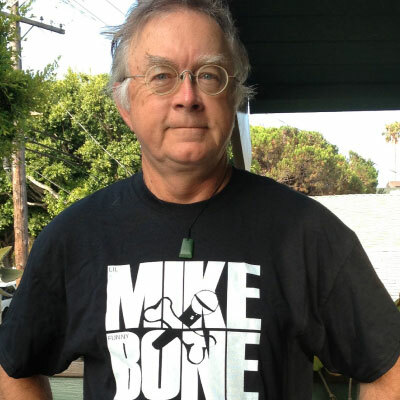 Bone moved to Chicago to serve in the national rock promotion department of Mercury Records. That led to a VP of Rock Promotion at Arista Records in New York, then VP of Promotion at Elektra Records followed by Executive VP of Marketing at Elektra. Bone this moved to the Presidency of Chrysalis, Island and Mercury Records, all in New York, before moving to California to be the “Minister of Truth” at Rick Rubin’s Def American Recordings. A short stint at IRS Records followed, then a move to Atlanta to be the Executive VP of Capricorn Records. After Capricorn was sold, Bone went back to work for Chris Blackwell as Head of Music for Palm Pictures. Bone entered the MBA program at Loyola Marymount, where he graduated with a 3.93 GPA in 2013. He is a Beta Gamma Sigma national business honor society, and Alpha Sigma Nu, national Jesuit honor society member. Bone lives in Santa Monica, married with 2 teenagers… both musicians.